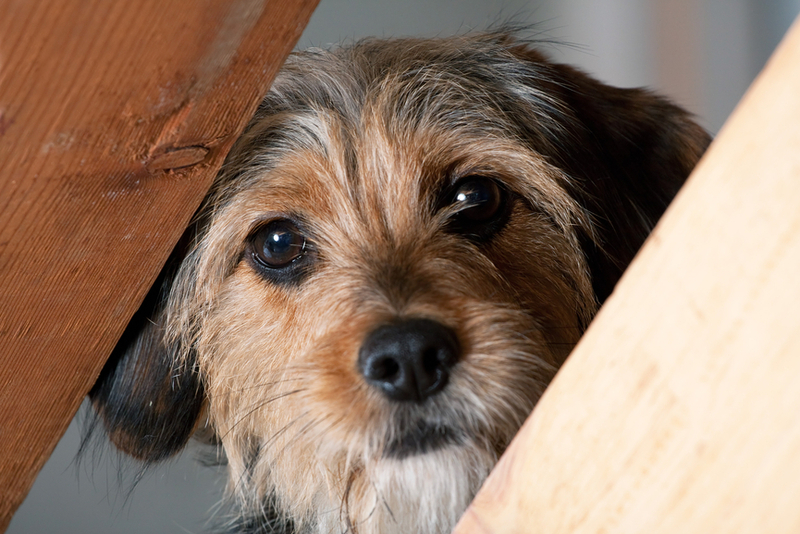 It’s no secret that most domestic animals are terrified of loud noises, especially the thunderous sounds of fireworks. These fears can evolve over time, and eventually they can lead to a condition called “noise phobia,” or an extreme fear of sounds that can cause your pet a great deal of stress. With Fourth of July just around the corner, it’s important for all pet owners to take extra precaution with their pets so they feel safe and secure from the deafening sounds of exploding fireworks. Unfortunately, there isn’t an easy way to explain to little Fido why there are scary booms reverberating all around (feel free to try! ), but there are ways you can help alleviate his stress. If your pet shows any sign of anxiousness or stress, take your animal to a quiet place inside the house where you can keep the noise to a minimum. You can also play calming music or turn on the TV to distract your pet from the loud fireworks. For some animals, a pet carrier can provide a sense of security and comfort while others may require more extensive treatment such as behavior therapy or a calming tranquilizer. Before the Fourth of July festivities begin, make sure you talk to your veterinarian to find out how to best protect your particular pet from stress. Firework safety is not just important for people, it’s also important for animals too. If you plan on lighting off fireworks this year, it’s a good idea to keep your fury friends at home where they are familiar with the environment—don’t leave them at a friend’s house. Loud bangs and pops from fireworks may cause your pet to flee, especially if they’re in an unfamiliar place, so try to create a safe haven at your home with familiar items (or toys) to occupy your pet’s attention. If your pets have to be outside, make sure they have an updated pet ID tag with a contact phone number and/or an address. Keep a close eye on your pets whereabouts at all times—this can protect them from becoming injured or causing damage to your home. Also, never let your pets near fireworks on the ground since they may be tempted to sniff or eat them.